Overview: As smog masks become a major necessity in China’s large cities, so increases the desire for masks that are both effective and stylish. 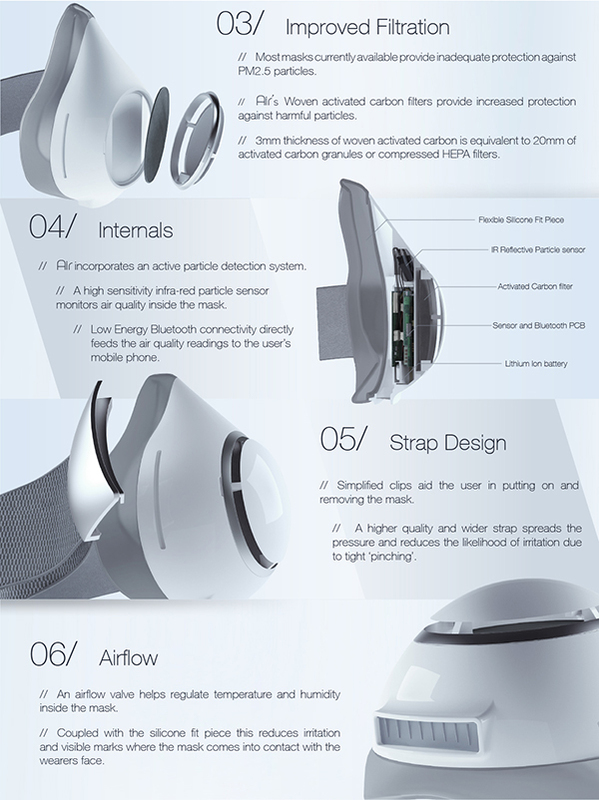 Simply named Air, this active-information respirator ensures wearers are protected at all times whilst becoming a staple in their modern wardrobe. The device incorporates a particle detection system which allows the user to directly monitor the surrounding air quality using their smartphone. Additionally, the smart app provides real-time data degradation and quality of the filter.